So it's now been two weeks and no one has responded, Toraaki is now out if it. The random number generator has chosen again: Joe Kardia. Joe click thenletter button at the top right hand of the site to talk ink and addresses. Hopefully third time's a charm. Update: Joe has responded. So it's finally taken! Toraaki please contact me via email. Click the letter at the top of the page and we can chat inks and addresses. I loved hearing all of your stories. 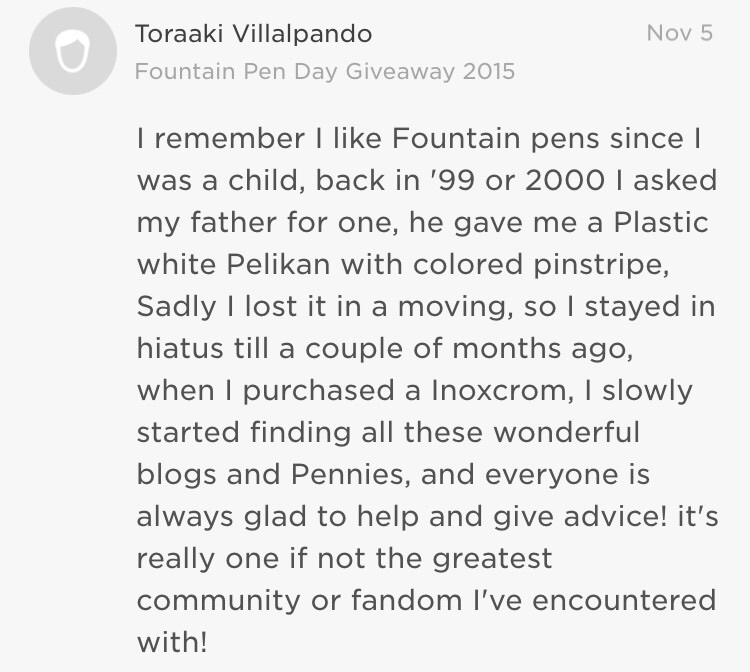 The fountain pen community is such a gift to us. You made me smile, one of you even made me cry (you know who you are). A few of you left me wanting to hear more. I have "hearted" a few of the comments in the last post. If you see your comment "hearted" shoot me an email, I would love to do a whole post on your story. Without further ado, the finitely almighty number generator gave me the number 21 which corresponds to Nicklas Abrahamsson. Congratulations! I'm glad I can add another pen to your arsenal. Nicklas send me an email (just click the letter on the top right of the site) so we can talk inks and shipping address. Thank y'all for entering. Keep reading and commenting. I remember the first time I realized there was a group of people like me who liked fountain pens. It was at a time in my life when I couldn't go out and do things like normal 20-somethings because of a freak basketball injury that left me immobile for 3 months. Moving from freedom of movement to dependence was not an easy thing, especially for someone who had never been seriously injured before. 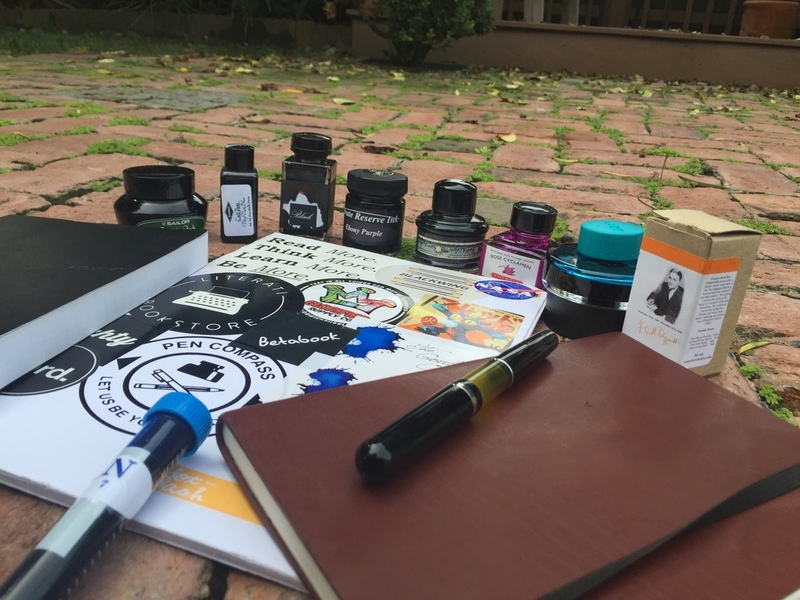 It started with videos from Brian Goulet about his products and the Fountain Pen 101 series. I realized from the comments on his videos there were others like me. Youtube, as it does, then led me to S.B.R.E Brown with his analysis and shenanigans. Comments on his videos led to the Fountain Pen Network. I realized, then, how much of a newbie I was as guys and gals talked pens that cost more than my annual income at the time (which in seminary was quite meager and rightly so). I found a place I could geek out in and learn safely. It is from there that I grew deep into this online fountain pen community. I am grateful for this community both in the mere pleasure of sharing a mutual love of something but even more so in the genuine friendships that have arisen from all quarters. Now we have a day (thanks to Cary) we can call our own, a Fountain Pen Day, which is only solemn in some quarters but those quarters have hymns, incense, and ritual to honor the gift of this community we love. 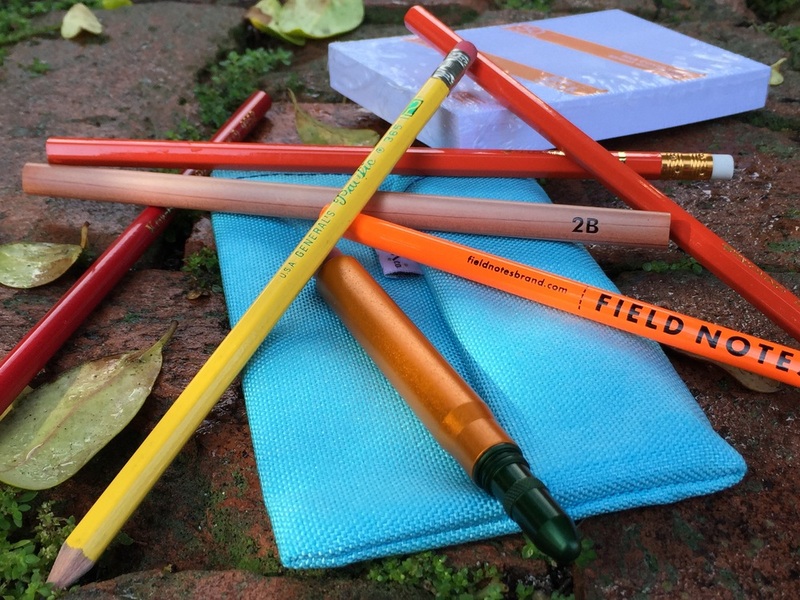 Yes, it says Fountain Pen Day, as if we honor these little pieces of beauty and utility, but, in essence, it is a communal celebration of what fountain pen people mean to each other (or at least that's the meaning I pass along to you). 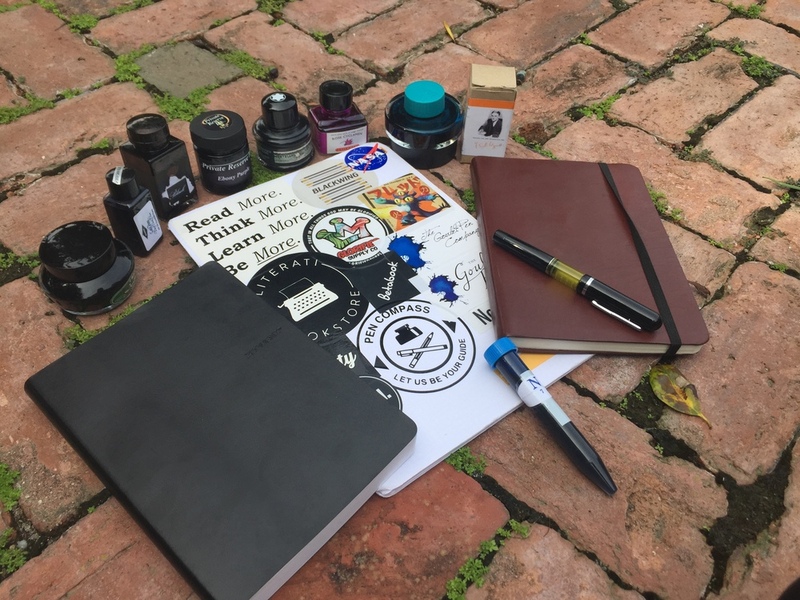 So in honor of this community that has give so much to me in genuine pastime, friendships, and support, I offer as tribute one of my fountain pens, an unused notebook, and some samples of inks. On Monday. November 9, at 9 am CST I will close the bidding. I will choose a random number via a generator. I will post the winner on the blog and he/she has a week to respond to me before I randomly choose another winner. Saturdays are usually homily prep days so I'm doing a lot of writing. My current Homily Prep journal is the Nock Co DotDash A-4 notebook. I'm really liking that ruling Brad and Jeff designed. It fits my handwriting perfectly and really allows me to get the most out of one page. I was filling it with my Sheaffer Triumph Desk Pen with a fine nib filled with De Atramentis Sherlock Holmes. Now that I have my ideas down. I'll turn to the Rhodia n. 19 Dotpad to write my delivery notes. The detachable pages make it really easy. I'll be writing those out with my borad nibbed Lamy Joy which is filled with Pelikan Edelstein Adeventurine. 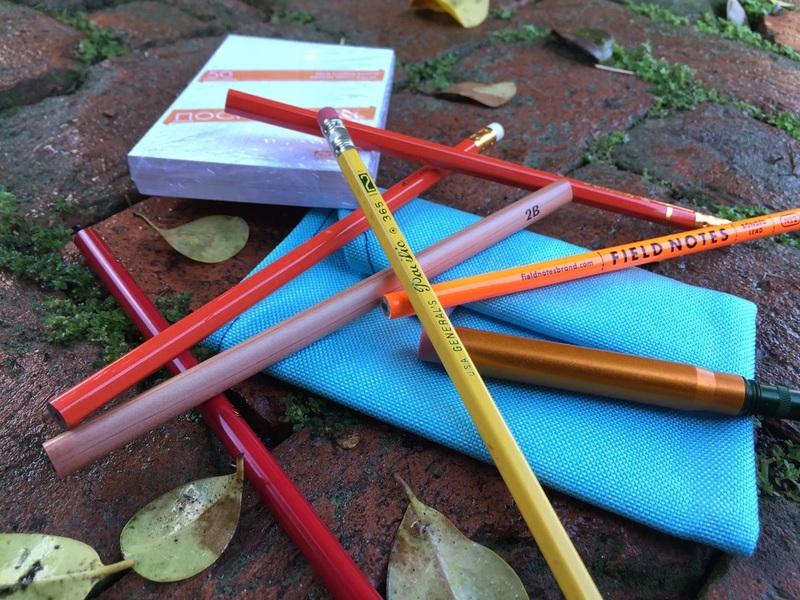 What are you writing with this balmy Saturday?